If you're feeling helpless and hopeless about the tragic mass shooting at Pulse nightclub in Orlando, Florida, a victim fund has been set up to support the victims, and you can contribute. How to donate to the Orlando victims fund is simple, and currently, the goal is to get to $500K. In news that may raise your spirits and restore your faith in your fellow man, nearly $208K has been raised at press time, and the page has been shared thousands of times, only a handful of hours into the campaign. 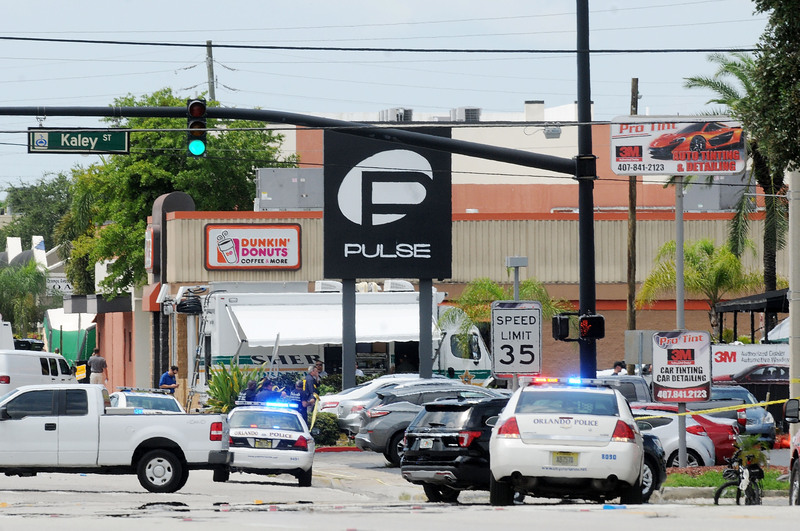 We are reeling from the tragic news that a gunman opened fire on the 2am capacity crowd at Pulse leaving 50 people dead and over 50 injured according to Orlando Mayor Buddy Dyer. We are heartbroken and angry that senseless violence has once again destroyed lives in our state and in our country. In order to donate to the fund, all you have to do is go to the "Support Victims of Pulse Shooting" GoFundMe page, and click "Donate now" on the righthand side of the page. If you can't help financially, but still want to contribute in someway, Equality Florida encourages sharing the page on social media for others to see. In order to do this, you can click on the "Share on Facebook" button directly beneath the "Donate Now" button. There is also a "Tweet" button for those who aren't on Facebook or prefer to share it on Twitter or on both platforms. Whether it's raising money or helping to raising awareness for the page, any little bit you do can provide significant aid.